In what may be a harbinger of things to come, the U.S. Court of Appeals for the Seventh Circuit debated the propriety of using the court’s own internet research to decide a case before it. The case is Rowe v. Gibson, et. al., decided on August 19, 2015; a pro se prisoner civil rights dispute that was dismissed by the district court. Rowe, an inmate of an Indiana prison, filed a lawsuit complaining of the “deliberate indifference” of the prison’s administrators and medical staff to his serious medical needs. He suffers from gastroesophageal reflux disease which can be treated with available drugs. The majority opinion written by Judge Posner buttresses the allegations made by the plaintiff with Judge Posner’s own internet research of reputable medical websites discussing this affliction and the treatments available to redress this painful condition. 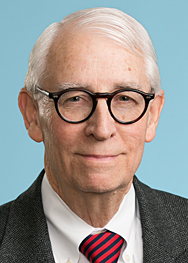 Alert to the problems of “going outside the record”, Judge Posner states that his research was used only to “underscore the existence of a genuine dispute of material fact created in the district court proceedings by entirely conventional evidence, namely Rowe’s reported pain”. In his partial dissent, Judge Hamilton stated that the reversal is “unprecedented, based on evidence this appellate court has found by its own internet research. The majority has pieced together information found on several medical websites that seems to contradict the only expert evidence actually in the summary judgment record”.